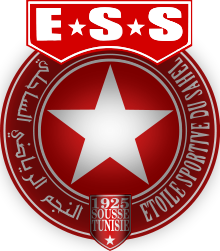 Étoile Sportive du Sahel has not submitted any formation. Cross by Amoldo Perez... into the clouds! GOAL - what a trick by Miguel Clemente! Miguel Clemente steals his opponent's ball in a tackling. Kelechi Iheanacho passes the ball... and the ball is out. Umberto Granero in a tackling... and looses it! Kelechi Iheanacho has the ball and sees his opponent in front of him... but he can win the tackling. Diogo Costa passes the ball towards the centre... but the opponent catches it. Mohamed Daoud passes the ball towards the centre... but the opponent catches it. Cross by Miguel Clemente... into the clouds! Header by Aymen Yacoubi... that was close. Hugo Fernandes lets taken away the ball. Umm Kulthum Tawfik tries to pass the ball to the strikers... but misses! Umm Kulthum Tawfik in a tackling... and wins it! Cross by Hugo Fernandes... into the clouds! Leonardo Marques shoots... but the goalkeeper can somehow catch it. Aymen Yacoubi shoots... into the sky. Umm Kulthum Tawfik runs towards Aymen Yacoubi... and looses the ball. Mohamed Daoud tries it with a strong shoot... but missed. Miguel Clemente in a tackling... and wins it! Miguel Clemente tries to pass the ball to the strikers... but misses! Umberto Granero tries to pass the ball to the strikers... but misses! Diogo Costa tries to pass the ball to the strikers... but misses! Leonardo Marques shoots... but the goalkeeper can turn the ball around the goalpost. César Pinto lets taken away the ball. Diogo Costa passes the ball... and the ball is out. Mourad Marzouki passes the ball... and the ball is out. Cross by Kelechi Iheanacho... into the clouds! Leonardo Marques passes the ball towards the centre... but the opponent catches it. Amoldo Perez in a tackling... and wins it! Cross by Nabil Sassi... into the clouds! Martim Semedo passes the ball towards the centre... but the opponent catches it. Jalel Mustapha tries to pass the ball to the strikers... but misses! 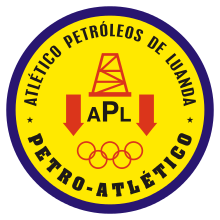 Tooor fur Petro Atlético! Umm Kulthum Tawfik legt auf César Pinto ab, der nur noch einschieben muss. Hugo Fernandes shoots... but missed. Cross by Aymen Yacoubi... into the clouds! Gonçalo Portela passes the ball... and the ball is out. Aymen Yacoubi runs towards Gonçalo Portela ... and looses the ball. Amoldo Perez has the ball and sees his opponent in front of him... but he can win the tackling. Nabil Sassi runs towards Martim Semedo... and looses the ball. Jalel Mustapha runs towards Martim Semedo... and looses the ball. Kelechi Iheanacho shoots... but the goalkeeper can turn the ball around the goalpost. Aymen Yacoubi passes the ball towards the centre... but the opponent catches it. Umm Kulthum Tawfik passes the ball... and the ball is out. Umm Kulthum Tawfik has the ball and sees his opponent in front of him... but he can win the tackling. Umberto Granero runs towards his opponent and wins the tackling! Cross by Jalel Mustapha... into the clouds! Martim Semedo has the ball and sees his opponent in front of him... and looses the tackling. Jalel Mustapha passes the ball... and the ball is out. Jalel Mustapha has the ball and sees his opponent in front of him... but he can win the tackling. Martim Semedo tries to pass the ball to the strikers... but misses! Cross by Mohamed Daoud... into the clouds! Diogo Costa has the ball and sees his opponent in front of him... but he can win the tackling. Martim Pinheiro in a tackling... and looses it! Leonardo Marques lets taken away the ball. Aymen Yacoubi tries to pass the ball to the strikers... but misses! Leonardo Marques shoots... but missed. Gonçalo Portela runs towards Leonardo Marques... and looses the ball. Gonçalo Portela passes the ball towards the centre... but the opponent catches it.